"If you're nothing without this suit, then you shouldn't have it." 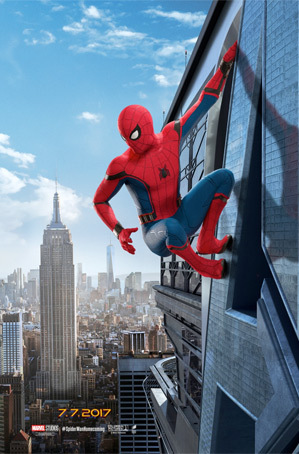 Sony has revealed the second official trailer for the new Spider-Man: Homecoming movie, bringing back the friendly neighborhood web-slinger for another solo adventure in New York City. Tom Holland stars as (the new) Peter Parker, who was first introduced in Marvel's Captain America: Civil War. This story continues with Parker returning from the events in that movie, still trying to figure out his place as a teenager in NYC. 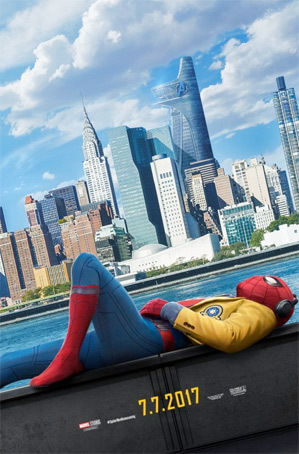 The full cast includes Marisa Tomei as Aunt May, Jon Favreau as Happy Hogan, Michael Keaton as The Vulture, as well as Donald Glover, Robert Downey Jr., Martin Starr, Logan Marshall-Green, Angourie Rice, Hannibal Buress, and Zendaya. This actually looks great, and has plenty of Spidey action to offer. Fire it up below. You can still watch the first teaser trailer for Spider-Man: Homecoming here, for more footage from this. A young Peter Parker/Spider-Man living in New York City begins to navigate his newfound identity as the web-slinging superhero. Starring the same Peter Parker (played by Tom Holland) that first appeared in Marvel's Captain America: Civil War. Spider-Man: Homecoming is directed by American filmmaker Jon Watts, of the films Clown and Cop Car previously. The screenplay is credited to: Jonathan Goldstein & John Francis Daley, and Jon Watts & Christopher Ford, and Chris McKenna & Erik Sommers. Kevin Feige produced for Marvel Studios, even though Sony is releasing this. 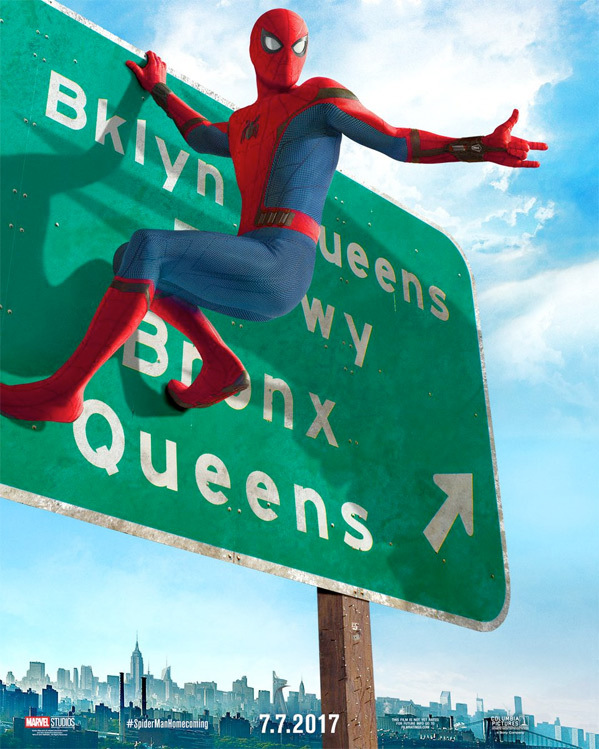 Columbia Pictures will open Spider-Man: Homecoming in theaters everywhere starting July 7th, 2017 this summer. What do you think? Are you in?